What is a Green Steam Engine? What Is Green Steam Engine? The green steam engine is a revolutionary new means of generating energy by converting reciprocating movement into rotary movement. This new concept simplifies the mechanism of conventional engines and offers a light weight compact engine that can run on a wide range of fuel sources. The main advantage of these engines is that the waste heat of the engines can be utilized in order to generate steam and hence power the Green Engines. Due to its characteristic of producing very less amount of pollution, it is known as Green steam engine. Green engines can be used in almost all applications where a need to conserve energy is required. They can be used in running various pumps, heating blowers, water distillers, air conditioners and generators. 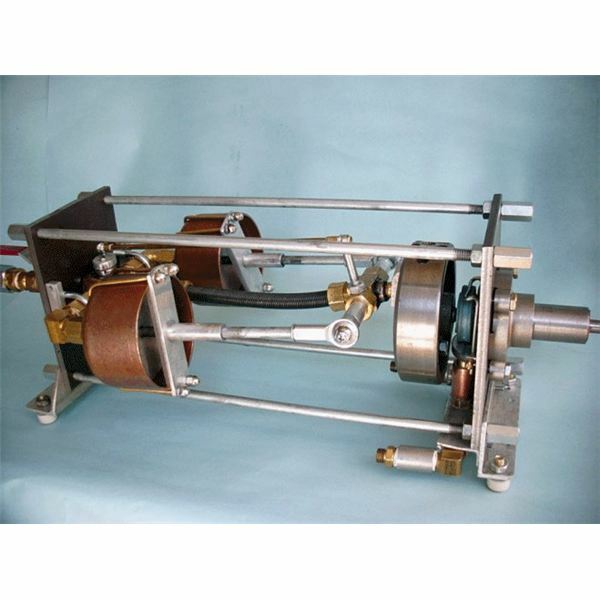 They can also be used in running small boats and model aircraft and ships. Waste heat from the engines have been earlier put to use in cooling systems and running heat exchangers. But now it can be converted to steam in order to run the Green steam engines, which can run pumps and various other applications, conserving lots of energy. Due to its small profile, Green engines can be of great importance where there are problems related to space constraints. 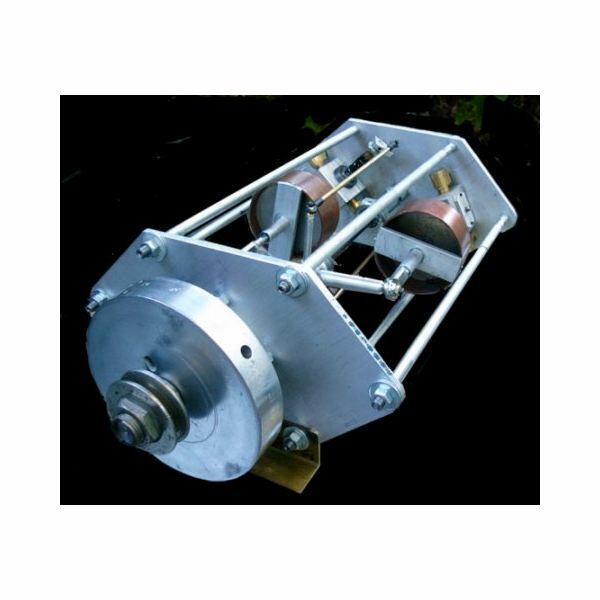 A small engine weighing as low as 5 lbs can easily power a boat or a generator. Thus Green Steam Engines prove to be an economical and efficient means of generating low pollution alternative energy. The salient feature of this engine is that it eliminates the application of typical crankshaft and cam system, thus providing a unique configuration in which the cylinders are aligned in the same direction as the main shaft. 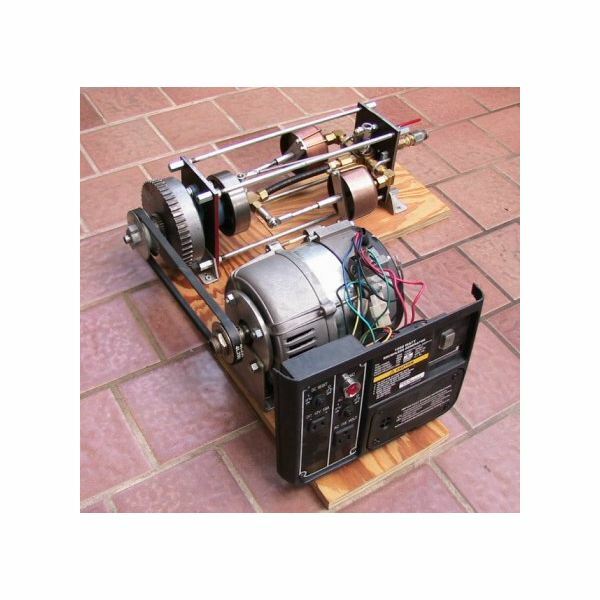 The mechanism, known as the Flexible Rod Transmission, has been invented by Robert Green. Due to the absence of crankshaft and cam system, there are very few moving parts and hence lubrication required is almost negligible. Also the small and compact size allows it to run on very low steam pressure and volume. As it has very few moving parts , maintenance is less and when required, the assembling and disassembling can be done in minutes. It is extremely light in weight and costs less to manufacture. It is highly simple in construction and can be configured according to ones requirement. As the green engine involves a system wherein the cylinder is aligned in the same direction as the main shaft, the engine becomes light weight, compact and extremely simple in construction. The piston and valves operates off a short flexible shaft which is fixed. Due to this the piston and the valve push rods are held in the same position even during the reciprocation movement. The cylinder’s float, attached to a swivel ball arrangement is fixed at the base of the rods. The mechanism is so made that an intermittent motion is created in which the valve movement stops in the open and close position of power and exhaust strokes. During the same time the pistons remain stationary and the valves moves between phases facilitating the output shaft to continue rotating. This elongated valve timing and negligible friction movement of the moving parts drastically increases the overall efficiency of the engine. Energy is restored in the flexible rod after each cycle, which doesn’t make it a source of stress and friction.